PIGC has been hard at work preparing for our annual fall concert next month. Mark your calendars for a gospel concert you won't want to miss. Be prepared to match harmonies, notes, clap and dance in rhythm while singing, and perform a very brief (~1 minute) acapella piece. This audition is for our upcoming fall term. It's almost that time again. The Portland Interfaith Gospel Choir is about one month away from our annual spring concert. We have been hard at work to give you yet another great gospel concert. 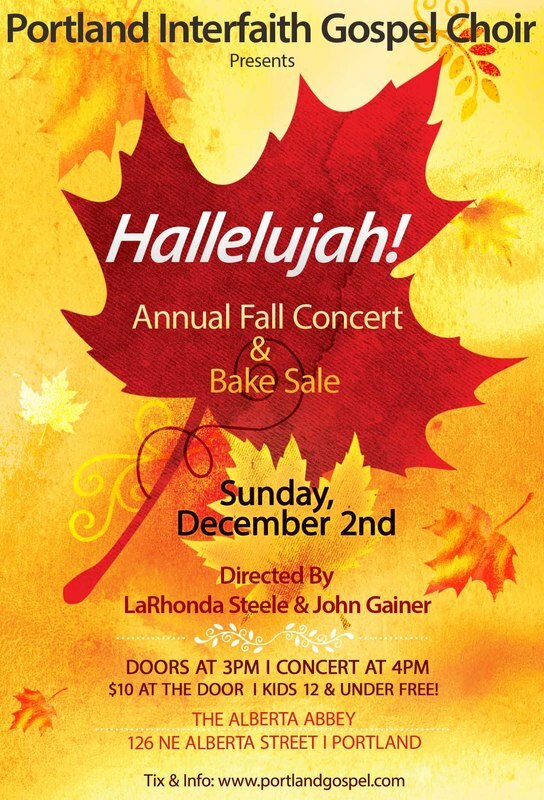 Our annual fall concert is now just days away. Help us ring in the holiday season as we present "Melodies From Heaven." Special guests include Arietta Ward, Eldon T. Jones, and more. A portion of the proceeds will also benefit the Jefferson High School Black Student Union. Tickets can be purchased at the door for $15 or you can buy them in advance for $10, just hit the buy tickets button below. As always, kids 12 and under are free. Don't forget to bring cash for our famous bake sale! ​There is also a small cafe on site if you need to caffeinate for the show. Thank you to all that auditioned; we have added many new voices to the choir. If you missed the audition or would like to try out again, please return in the spring for our mid-year auditions. Dates will be posted in January or February here on the site. Our first rehearsal of the new season is tonight! We already have a few dates booked, so head over to our Concert Calendar page to see where we'll be. Our first public event will be on Saturday, November 4th at the Winningstad Theater. 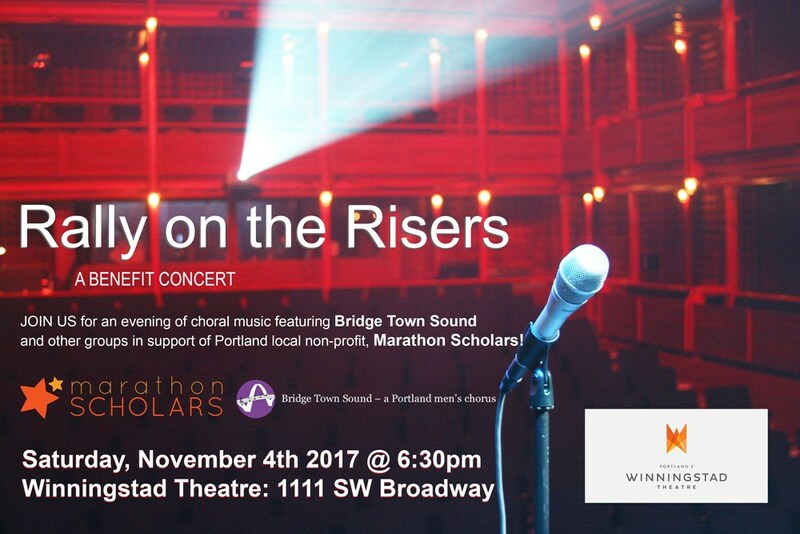 ​We are proud to be partnering with Bridgetown Voices and several other local groups for a benefit concert for the Marathon Scholars. Click below for more information or to purchase tickets. Open auditions for the fall/winter term are tonight! We are looking for all voices, so step up to the mic or share with a friend that may be interested. ​We look forward to hearing what you've got! As we look forward to beginning a new Fall/Winter season, Portland Interfaith Gospel Choir would like to take a moment to reflect on our wonderful spring concert. Thank you to all who attended!